This video was created by http://www.gossamerheart.com/ . 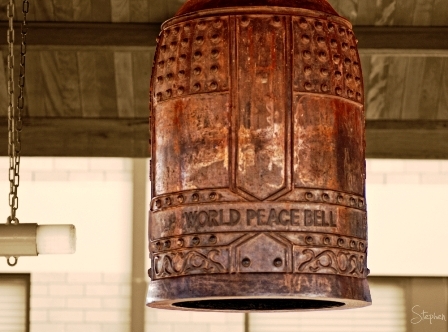 I was amazed and uplifted in created this video how many countries around the world have “World Peace Bells” It just proves to me that there is a desire in the heart of humanity for world peace. I chose the song “Ring The Bells,” by Melissa Etheridge because it is the feeling of our web site that the only way to world peace is if we change our world view from “us and them” to one of the acceptance of humanity’s diversity. Through the this acceptance we can coexist, no matter what religion, nationality, sexual orientation, or differences we have one from another. So, please “ring your bells,” and help co-create world peace. This video is for NON-PROFIT — USE and Entertainment use ONLY.